I have lived on the Carolina coast my whole life and our family only had to evacuated a couple times. With all the chatter about Irene I've been trying to think about the bright side of Hurricanes. Although these wouldn't stand a chance in the face of a category 3 storm, those storms aren't around that much anyway. 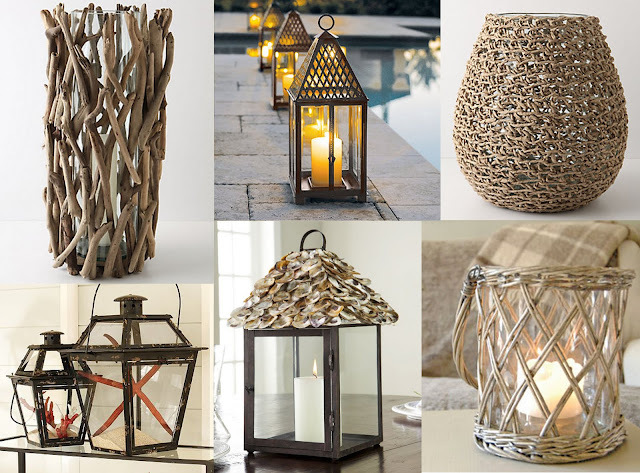 Of course I love the lantern with the oyster shells, but I think the driftwood one is my favorite. Which one would you choose to have with you to weather the storm? I like the driftwood one too! I guess the driftwood lantern gets the favorite vote! Picked up some today... Hopefully I can make one soon. They look so cool.